There has been tons of research about green tea being a magical drink for people with diabetes. But what’s the link between green tea and diabetes? How does green tea help with diabetes? Green tea is known for being a “super drink” because it is said to offer specific benefits for people suffering from diabetes. According to recent studies, green tea can actually benefit people with Type 1 and Type 2 diabetes and can also help those who are working to prevent the onset of Type 2 Diabetes. Diabetes is a chronic medical condition characterized by the body’s inability to produce sufficient quantities of insulin, resulting in the abnormal metabolism of carbohydrates in the body and elevated levels of glucose in the blood. Glucose is the main source of fuel or energy for the body. We get glucose when our bodies break down the carbohydrates that we eat or drink. Glucose is then transported into the blood stream and distributed to the body cells to give them energy with the aid of the hormone insulin which is produced by the beta cells of the pancreas. In an individual without diabetes, the pancreas upon sensing that glucose has entered the bloodstream will release the right amount of insulin so the glucose can get into the cells. But this system doesn’t work for individuals with diabetes because of the inability of the pancreas to produce insulin. Diabetes can be effectively managed when diagnosed early. But when left untreated, it can lead to several complications that include kidney disease, ketoacidosis, high blood pressure and stroke among others. Green tea is consumed on a daily basis in dozens of countries worldwide. And unlike black tea, varieties of green tea are only minimally processed and are usually not oxidized at all. Green tea is very effective in managing and preventing diabetes because it contains high levels of polyphenols, which are antioxidants found in plants. Epigallocathechin gallate (EGCG), the key polyphenol in green tea is known to be the main factor of the beneficial health benefits of green tea. EGCG helps sensitize the cells so they are able to better metabolize sugar. People with diabetes have problems metabolizing sugar so insulin is needed to decrease the sugar. But with type 2 diabetes, the body becomes insensitive to insulin causing the blood sugar levels to go up. With EGCG found in green tea to help sensitize the cells, they are then able to metabolize sugar. Other than helping to regulate glucose in the body, polyphenols in green tea help reduce oxidative stress and also cause widening of the arteries (vasodilation), which decreases blood pressure, reduces cholesterol and prevents clotting. All the said activities of the antioxidant polyphenols can reduce the risk for heart disease, which is elevated in people with diabetes. A Japanese study done in 2006 has found that people who drank 6 or more cups of green tea a day were 33% less likely to develop type 2 diabetes than people who drank under 1 cup of green tea a week. 1. Aids in weight loss. The antioxidant polyphenol, particularly EGCG (Epigallocatechin gallate) works to intensify the levels of fat oxidation and the rate at which the body turns food into calories while its high caffeine content aids in burning fats and improve exercise performance. 2. Lowers the risk of cancer. Green tea helps lower the risk of cancer due to its high content of antioxidants. Other than stopping cancer cells from growing and directly killing them, these antioxidants also seem to be able to prevent new blood vessels from forming within tumors that help cancer cells to grow rapidly and spread to other parts of the body. Green tea has also been shown to help with wrinkles and the signs of aging which can be attributed to its high antioxidant contents and anti-inflammatory activities. 4. Improves brain function and mental performance. While the stimulants in green tea can keep you awake, they can also make your brain function better. Caffeine, the main stimulant in green tea when taken at the right dosage, provides a lift for most people without causing increased anxiety. Studies also have shown that caffeine improves concentration and memory. In addition, the amino acid L-theanine gives a relaxing effect while simultaneously increasing alertness and brain function. Some studies have shown that green tea aids in digestion and improves bowel movement. Green does this by reducing inflammation in the gut associated with ulcerative colitis and Crohn’s disease. Studies have shown that in order to enjoy the health benefits of green tea, a therapeutic dose of polyphenols between 200 to 1000 mg per day is recommended. So how many cups should you drink? It all depends on several factors such as: how the tea leaves were processed prior to drying, the geographic location and growing conditions and the preparation methods. Polyphenol values may vary from 5 mg to 180 mg per cup so you may need to drink 4 to 5 cups of traditional green tea per day to be optimal. Green tea is a very healthy beverage which can be very useful for everyone who suffers from diabetes by stimulating the production of insulin, which will then control the sugar levels and converts the nutrients from the food into energy to be utilized by the body. However, green tea has various properties that can affect how it affects you, depending on several other factors which may vary from person to person. So before deciding to change your diet and incorporate green tea into it, it’s always best to consult your doctor. 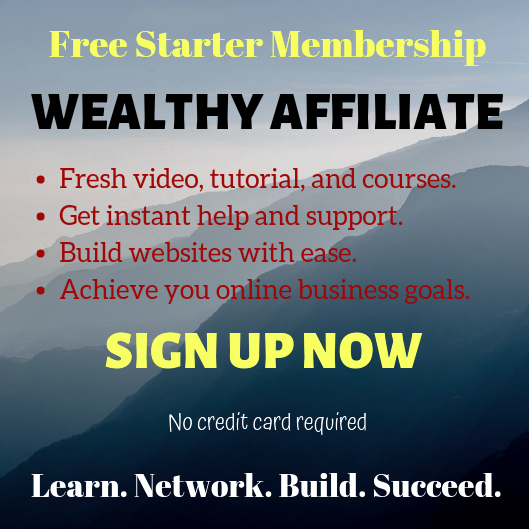 Should you have any comments or additional insights, please leave your comments below. Alice, Hey! I sent your article to my sister. She is 70 years old and she has been suffering from diabetes mellitus (DM) for 15 years. Your article contains all the correct ideas about this problem. We agree with the advice on the reasonable use of green tea and herbal. If you allow, I can advise. Also useful are blueberry tea, chamomile tea, sage tea. Of course, all teas are used without sugar. The reader has received very useful information from you. I agree Mark, other than green tea, blueberry, chamomile and sage teas can also help with diabetes, especially when taken without sugar. There are a lot of healthy and beneficial drinks we can use as substitute for unhealthy drinks such as soda. We need to take care of our health early on which we can do only if we have the right information. Am so happy to get this very useful information, my mummy has been diabetic for over 8 years, we realized it quite early, and we have been managing it with drugs and food selection. All the while I had never heard that, green tea has a major role to play in the management of this condition. Thank you for sharing, am going to give it a trial and come back to you with a testimony with time. I really do appreciate this post. Hi Azogor, I’m happy to know that you found this article helpful. While I’m not at all against managing diabetes with drugs, I would say that natural means are still preferable. Not many people also who are suffering from this disease are aware that green tea can help them manage and control it. Please do come back to share any positive developments for your mom’s diabetes with green tea. Wow, I knew that my green tea habit was healthy, but I had no idea about the link to diabetes. It’s great to know that my drinking green tea helps prevent the onset of diabetes as well, especially as it runs in the family. Very informative article, thank you. Do you know if matcha tea would have similar benefits in relation to diabetes? Hello Linda, thanks for stopping by. Many tea lovers are not aware that by drinking tea, they are actually taking good care of their health. And yes, matcha tea helps with diabetes because it also contains Epigallocathechin gallate (EGCG). 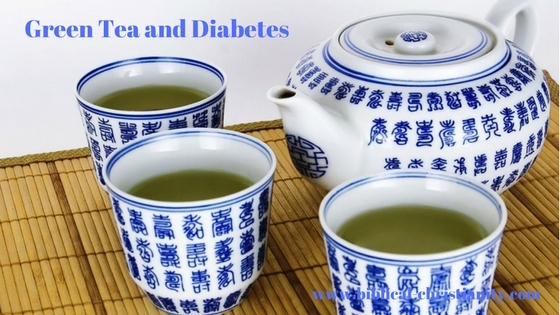 So green tea and matcha tea have similar benefits in regards to diabetes. Thank you for preparing a really informative article. I actually had no idea exactly what diabetes was and how it affects the body. You gave a very easy to understand lesson and now I understand. 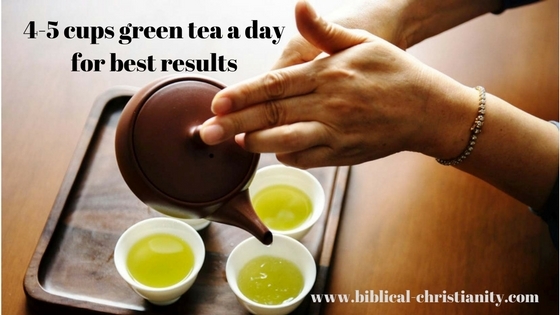 It seems 4 to 5 cups of green tea a day is recommended for a lot of different health issues. I have up till now drunk a lot of coffee as I like the stronger taste. Are there any green teas that would be comparable in taste to coffee so that I could switch without shock to my system? It sounds like green tea is the way to go. I used to think that 1-2 cups of tea a day should be enough but because green tea is a healthy drink, one can actually have up to 5 cups in order to enjoy all its health benefits, especially for those who are suffering from diabetes. If you prefer your tea to be as strong as coffee, you may want to double the amount you, say 4 teaspoons instead of just 2 and have it just 2-3 cups a day. I hope this helps. Very informative post. I agree that green tea not only helps to manage diabetes, it also has the potential to actually reverse this disease. I was diabetic for 13 years and was taking metformin 1000 mg twice daily. My last A1C was 15. My symptoms have always been stomach and bowels discomfort. I am a 54 year old male and the metformin wasn’t really working so this year, our family doctor started me on Natural Herbal Gardens Diabetes Disease Herbal mixture, that include green tea. With the help of green tea and other natural Herbal Garden natural herbs I have been able to reverse my symptoms. My symptoms totally declined over a 7 week period; I am thankful to green tea, thankful to nature. Hello James, thanks for your comment and thanks for sharing your story. I believe that natural alternatives are always best for any kind of health disorders. Green tea has so many benefits especially in the treatment and management of diabetes and it has been proven by various scientific research and studies. Hi there I had no idea about all these benefits of Green Tea! There is a lot to learn. Thanks for well put-together information. Yes, green tea has a lot of health benefits, some of them we are not even aware of. But it is especially recommended for people with diabetes and also for everyone trying to prevent having this disease. I was diabetic for 13 years and was taking metformin 1000 mg twice daily. Last A1C was 750. My symptoms have always been stomach and bowels. I am a 54 year old male. the metformin wasn’t really working so this year, our family doctor started me on Natural Herbal Gardens Diabetes Disease Herbal mixture, With the help of Natural Herbal Garden natural herbs I have been able to reverse my symptoms using herbs, my symptoms totally declined over a 7 weeks use of the Natural Herbal Gardens Diabetes disease natural herbal formula. My diabetes is totally reversed! I am thankful to nature. Thank you for sharing your story. 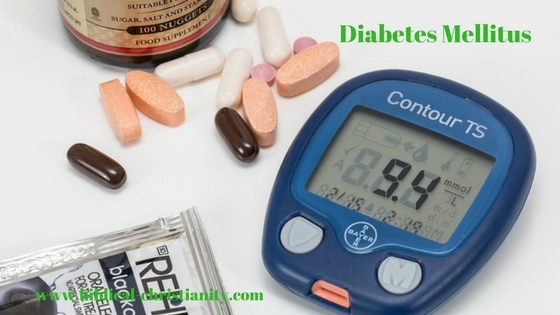 I believe that diabetes can be controlled and managed with the use of natural herbs. Although I’m not really sure if it can totally get rid of diabetes. But reading your own story has made me think twice about this. Anyway, I’m glad to hear that you are doing well now with the use of Natural Herbal Gardens Disease Diabetes Disease Herbs. I managed to get rid of chronic heartburn after just a couple of months with 2 cups of green tea per day. That was some 3-4 years ago. Ever since I included green tea into my diet I felt so many benefits. Thank you for the great post here! I’m happy to hear that you have made green tea a part of your diet. Although my post is about how green tea can help with diabetes, it is also beneficial for anyone who wants to stay healthy and enjoy the benefits of green tea. I didn’t know that green tea had that benefit for people with diabetes. Another great thing that diabetics can do is to eliminate sugar and cut their carbohydrates in order to decrease the need for insulin. A ketogenic diet is great for that. Green tea, with just a few carbohydrates, would easily fit into a ketogenic diet. You’re absolutely right Melinda. Cutting off or totally eliminating sugar and carbs from your diet will surely help manage and control diabetes. One of my colleagues who is only 25 has diabetes but she loves to eat cookies, sweets and carbs. I often tell he to watch her diet but she says that anyway there’s medication for it. Green does does fit well into a keto diet. I’ll try suggesting it to her. Hello Alice, I like your post about Green tea. To be honest, I had no idea what a positive impact it can have on diabetes. My mother in law suffers from diabetes type 1, and I will definitely tell her about your advices. I personally like green tea very much, but have to admit I should drink more of it instead of black teas. I found out about the health benefits of green tea while searching for natural remedies for diabetes. I want others to know and benefit from it the same way that my friend who has diabetes does. All tea are good but if I have to choose which is the best, I would go for green tea because it’s natural and has more health benefits. I have type 2 diabetes so this is very interesting and useful information for me. I have heard of all the benefits of green tea, but never heard about the benefits to diabetes. I may have to give it a try. Does it have any side effects I should be aware of? Is there any caffeine in green tea? What does green tea taste like? Can I add honey to it to make it a little sweater? Hi Curtis, thanks for visiting and leaving a comment. Green tea is known to be a “super drink” because of the many health benefits it offers. It is even more popular because of what it can do for people with diabetes. Just like any other tea, it does contain caffeine and could have some side effects if not taken in the right dosage. That’s why 3-4 cups a day should be the maximum. If you’re drinking green tea for the first time, you may find the taste a bit bitter so you may want to add honey, cinnamon, lemon or ginger to make it more appealing to your taste. And please do come back to let me know about your experience with green tea. Very informative post about the benefits of green tea. Thanks for your comment. Diabetes is a health condition that affects people of all ages in all parts of the world. And although people with diabetes can always take the medication prescribed by their doctors, green tea is a great alternative. Other than being a natural remedy, it also offers several other health benefits.